Meenan P.A. Hosts Florida Governor Rick Scott | Meenan P.A. Meenan P.A. 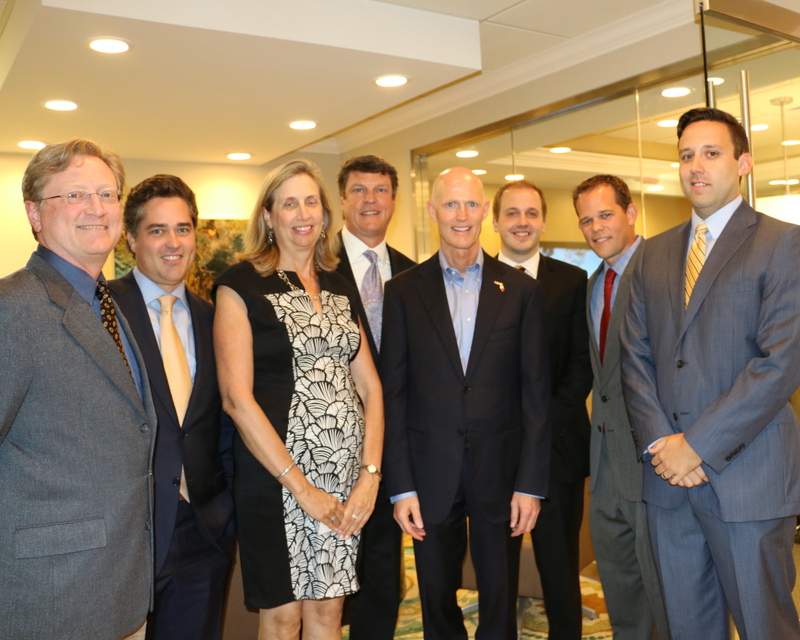 and its clients hosted a fundraiser for Governor Rick Scott on August 18th. The Governor spent almost two hours discussing the current business climate in Florida, and other issues facing Florida State Government. “We were fortunate to have the Governor visit our new office within a week after we moved in. He is working to create jobs and build the infrastructure to take our state to the next level” said Tim Meenan. The Governor faces re-election this November in Florida for a four year term.